Managing helpdesk concerns directly in the office might seem like the reasonable thing to do when you first start a company and you may have a dedicated employee who can handle this in conjunction with their other responsibilities. However, over time, it frequently makes sense to begin thinking about the benefits of remote help desk support and make the decision to outsource. There are many different reasons that you may be able to benefit from outsourcing rather than having dedicated IT staff in-house. 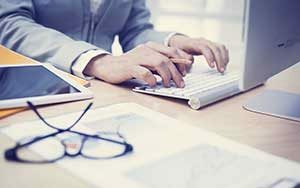 For any growing organization, proper IT support is vital to maintaining employee productivity. As your company grows, however, you may find that you are spending more of your time delivering in-house IT support, as well as more financial resources on the tech budget itself. Rather than continuing to funnel money into these onsite or in-person support visits, you may wish to instead move to remote desktop support. There are numerous benefits that can be realized relatively quickly by switching to a remote help desk. One of the benefits is that you may obtain better analysis of root cause issues. Remote support technicians are able to directly see the environment of the desktop by accessing the computer itself. When they are in the device or network itself they can delve more quickly and easily into the root cause that is ultimately affecting the client. This can gradually lead to a clear establishment of patterns, as well as faster problem solving and the prevention of future issues. One reason that employees and employers alike will benefit from remote help desk support is faster problem solving. A staff member may be able to chat with remote support, or directly call that person and share their computer screen via remote technology. This means that rather than filing a ticket and waiting several days for someone to show up, or waiting until the in-house IT person is free, the troubleshooting process starts immediately. IT technicians will not have to deal with the burden of gathering information about the problem and the client, but rather will work quickly to solve the problem directly. Company staff will feel happier knowing that their problem was resolved without having to leave their desk, and that things were able to be addressed quickly – even after business hours in some cases . Another reason to consider remote help desk support is that company staff will become more informed and better able to troubleshoot problems. When employees utilize remote desktop support, they can see and learn how the IT support technician is troubleshooting the problem. They may even ask to be part of the process as the tech attempts to take certain actions, rather than just turning their computer over entirely to an in-house technician and walking away from the situation. This process can also keep employees more aware of the things that they may be doing to contribute to the problem as well as make them aware of troubleshooting steps they can take on their own prior to contacting tech support. Remote technicians will have more time at their desks to complete tasks, meaning that the time savings potential is clear on both ends of the equation. Employees seeking tech support will frequently feel less disrupted during the time that the technician is problem solving, because they may also be included in the process. 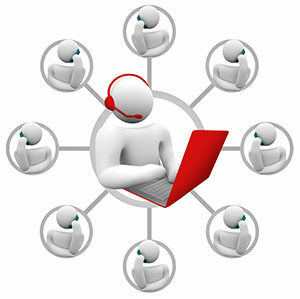 Greater technician productivity can also be a big advantage of remote help desk support. IT technicians know that the current setup for problem solving involves multiple delays. Techs, for example, may need to spend an hour or more in order to recreate a problem of one employee in order to solve it. Problem solving can lead to a significant amount of waiting times for applications to open, computers to restart, and so on. Without remote help desk support a significant amount of time is spent by technicians traveling to the client site and walking around at the various onsite locations needing attention. With remote help desk support, the employees in need of assistance are also less disrupted in their normal work during the time that the technician is problem solving. When the staff gets these faster problem solving results from help desk employees, they will enjoy greater work satisfaction. The employees may take some time to adjust to this new arrangement, but they will greatly appreciate the benefits of remote help in the long run. Investing in outside technical support may likely be the right choice for your business, but this decision can only be made after discussing the options carefully with your management and IT Support team. Having a good understanding of where your company is right now and the nature of your help desk requests is critical. This knowledge will point you in the right direction when you need to determine whether or not to go forward with remote help desk support.